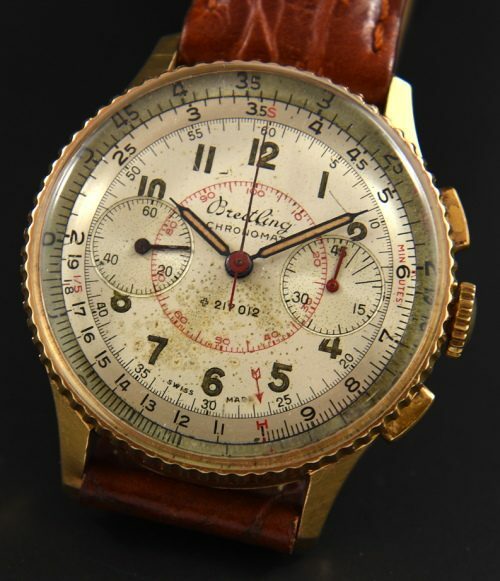 This is a 1950’s BREITLING CHRONOMAT being in all original condition. The dial and inner turning bezel is original as are the pencil hands with original luminous. The solid 18k. gold case with correct square pushers measures 35.5mm. and displays VERY fine overall condition. 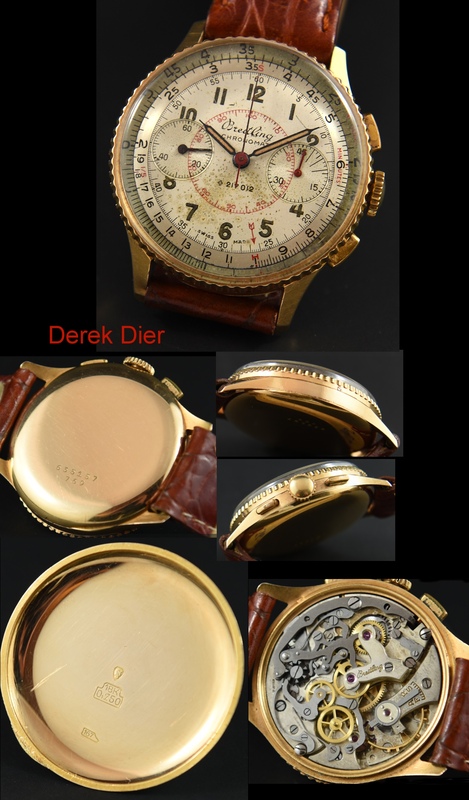 The Venus 175 original movement for BREITLING was just cleaned, accurate and working perfectly. This is a fine collector’s piece.